Olive oil , Sunflower oil, Cocoa butter, Shea butter, Allantoin , Bees wax, Sesame oil, Comfrey root, Green tea, Provitamin B5, Vitamin E, Vitamin A, Glycerin. use every day before sleep. Apply onto a cleaned skin of face and neck. Gently rub with your fingers until it is evenly spread. Take notice how this complex formula quickly absorbs and leaves matte trace over the skin. A unique formula to satisfy majority or women with the right measure of moisture and oil, enriched with herbal extracts and vitamins. 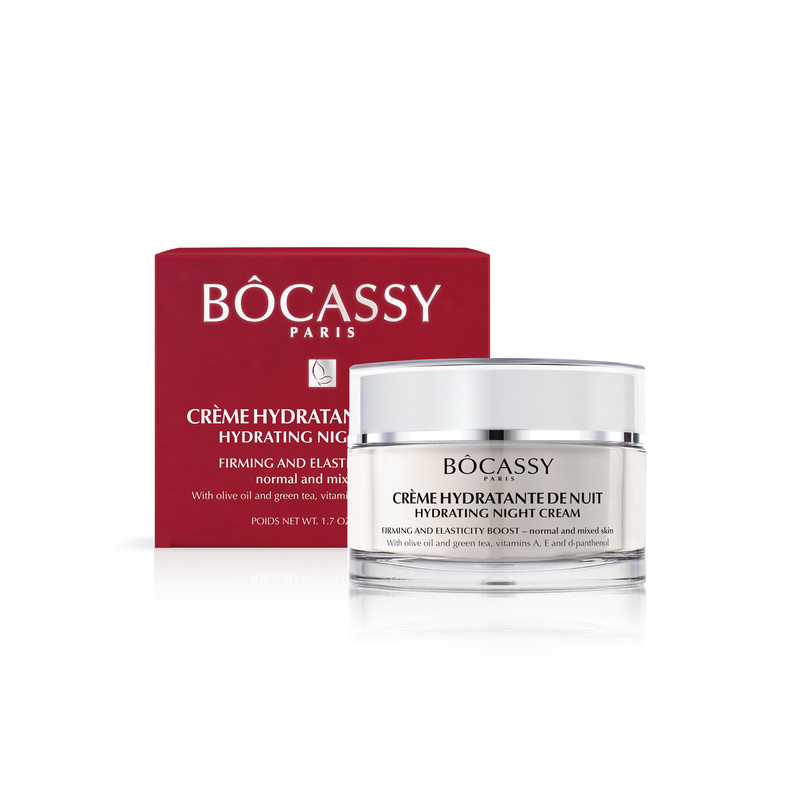 This cream will nourish and support revitalization in the tissues in the night time when its natural cycle of regeneration takes place. Active ingredients not only soften its surface and make your own skin feel comfortable, but will help support natural elasticity in the skin tissue that will make it look smooth and firm soon after use. This is a marvelous combination of highly wanted nutrients and in plenty, but originating in this water-based formula that provides to the skin oils in exact amount needed to be firmer and more elastic yet without feeling it heavy and shiny. To increase firmness all functional ingredients are added as nutrients other than oils to work as excellent night care in a light way. 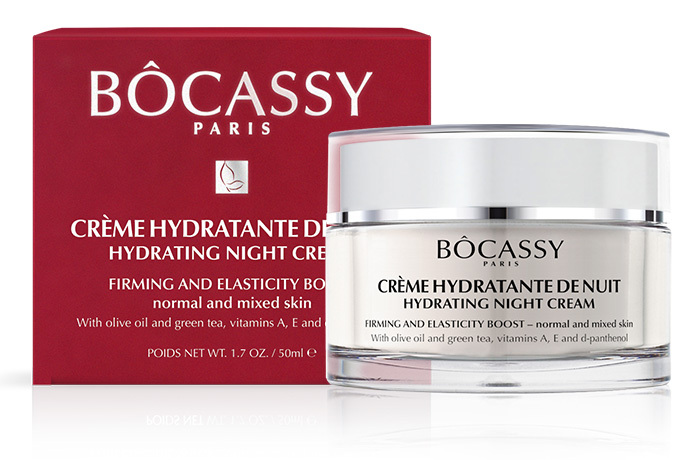 Increase its efficiency by combining it with Bocassy serum to achieve most incredible results. 95% natural originating ingredients.